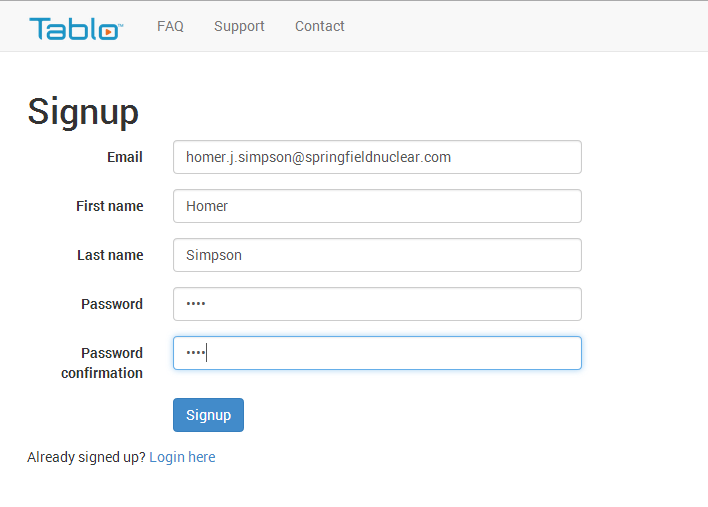 If you choose not to purchase a subscription, please be aware that some features will no longer be available to you. 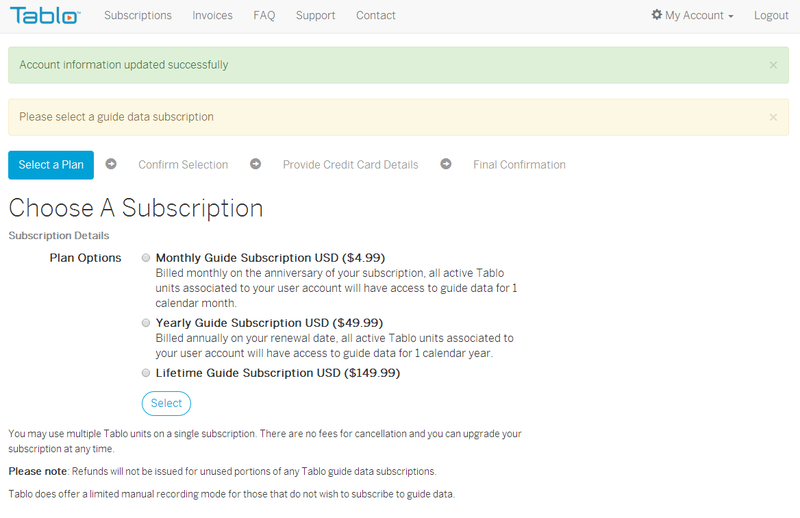 For a full overview of what a Tablo subscription provides, please click here. 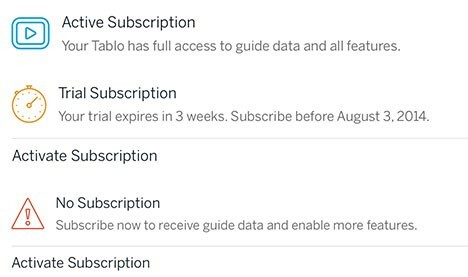 To purchase your Tablo guide data subscription, either select ‘activate subscription’ within your app, or visit https://account.tablotv.com/. 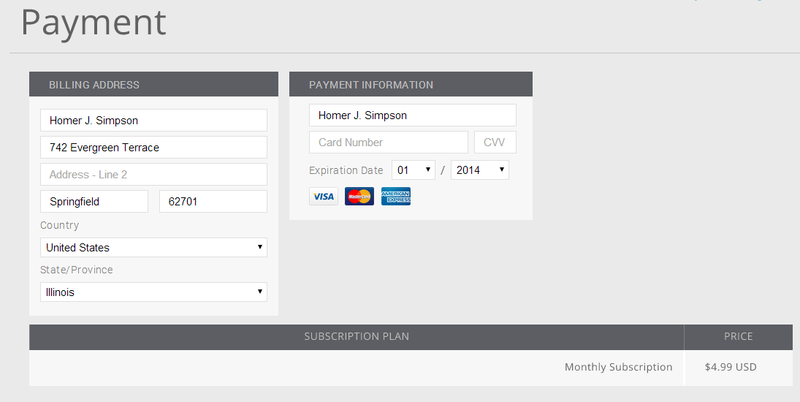 Once you’ve selected and confirmed the payment for your subscription, you’ll need to associate your Tablo to your subscription by entering the serial numbers of your unit. Make sure you type this in carefully and that your Tablo is online and connected to the Internet. 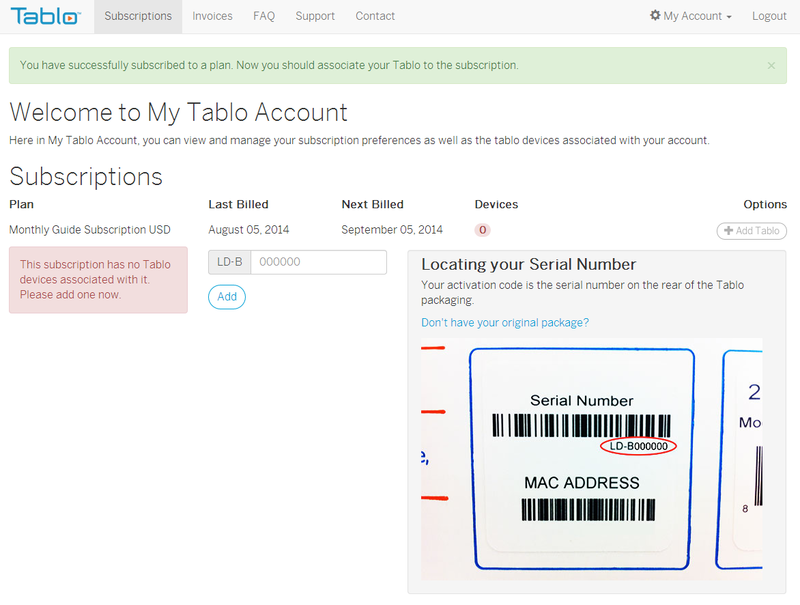 If you would like to manage your subscription including changing your payment method or billing address, or if you intend to add another subscription to your account, you can log in to the My Tablo Account available at account.tablotv.com/login.